It's finally time to kickoff my BYU-themed beauty giveaway! I love makeup. I love BYU football. And I want to pay tribute to other people who also enjoy both. A couple of years ago, I started discovering some fantastic female BYU fans on Twitter. So I'm giving away...well, a lot of stuff. The whole list can be found here. 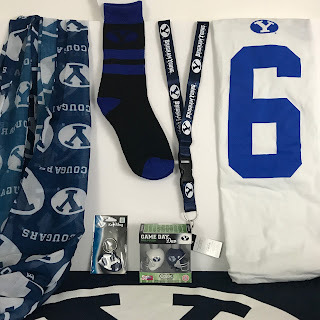 Some of it is BYU-themed, some of it is beauty-themed, and some is a mix of both. For instance, you'll find a lot of blue makeup to help you show your true colors. 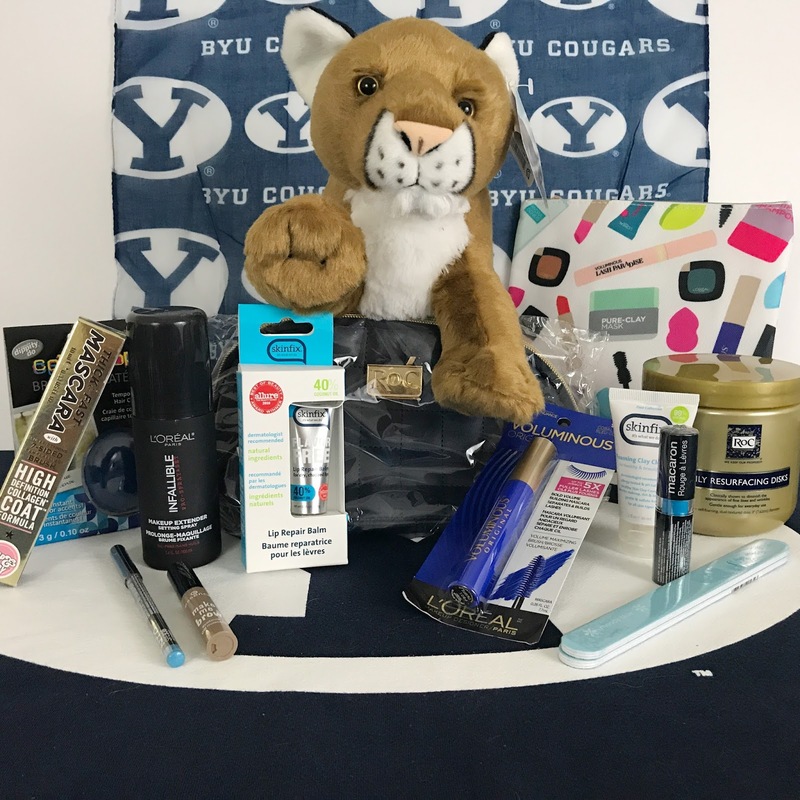 I've also included a couple of products from ROC skincare--cougar fans understand why. Some of the items I picked because I love them for everyday use. Others are ideal for game day. 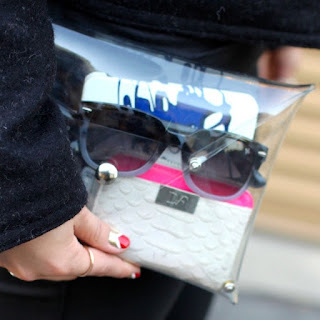 My BFF and the author of Rose Gold Lining is providing a handmade clear clutch, perfect for being trendy yet practical at the stadium. Royal Army Brand and Royal Dahlelama have generously agreed to donate products for the giveaway. * And I've teamed up with Cougs on Cougs to get you a cup autographed by Coach Sitake! So check out the entry options below, and I'll announce the winner prior to the Mississippi State game. Rise and Shout!